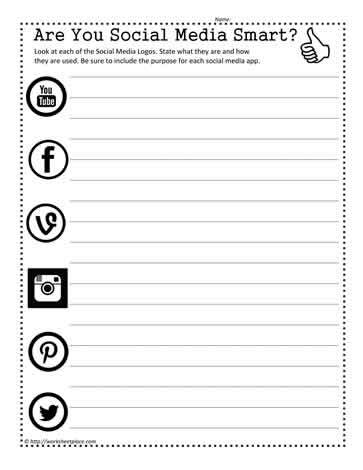 For this social media worksheet, you have to decide what the icon represents and which social media app it is and what it does. Look at each of the Social Media Logos. State what they are and how they are used. Be sure to include the purpose for each social media app.